Toasted marshmallow, chocolate, graham cracker ~ an amazing combination forever associated with campfires, summertime and fun. The Daughter and I present it to you in cupcake form! Arguably the best part— torching the marshmallow. no more piping, only dolloping. Preheat oven to 350ºF. Line standard muffin tins with paper liners. Whisk together both flours, baking powder, salt and cinnamon. With an electric mixer on medium-high speed, cream butter, brown sugar, and honey until pale and fluffy. Reduce speed to medium; beat in eggs and vanilla, scarping down sides of bowl as needed. Add flour mixture; mix until just combined. Divide batter evenly among lined cups, filling each about three-quarters full. Bake, rotating tins halfway through, until golden brown and a cake tester inserted in centers comes out with only a few moist crumbs attached, about 25 minutes. Transfer tins to wire racks to cool 10 minutes; turn out cupcakes onto racks and let cool completely. 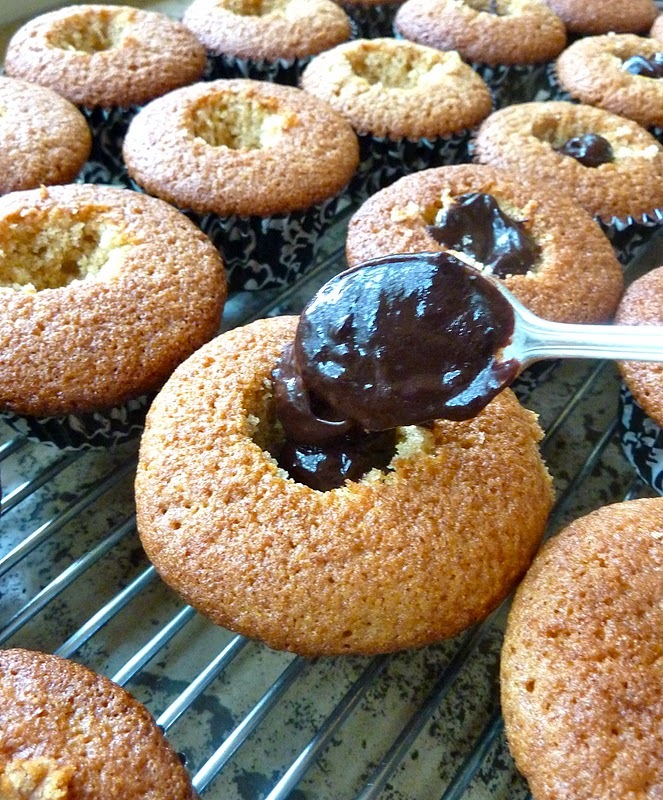 Cupcakes can be stored up to 1 day at room temperature, or frozen up to 1 month, in airtight containers. Using a small knife, create a well in each cupcake. Fill each well with a ½ teaspoon of the chocolate ganache. 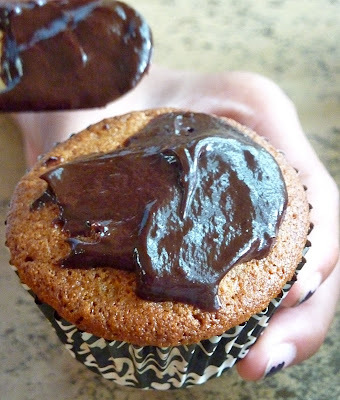 Spoon 2 teaspoons glaze onto each cupcake. 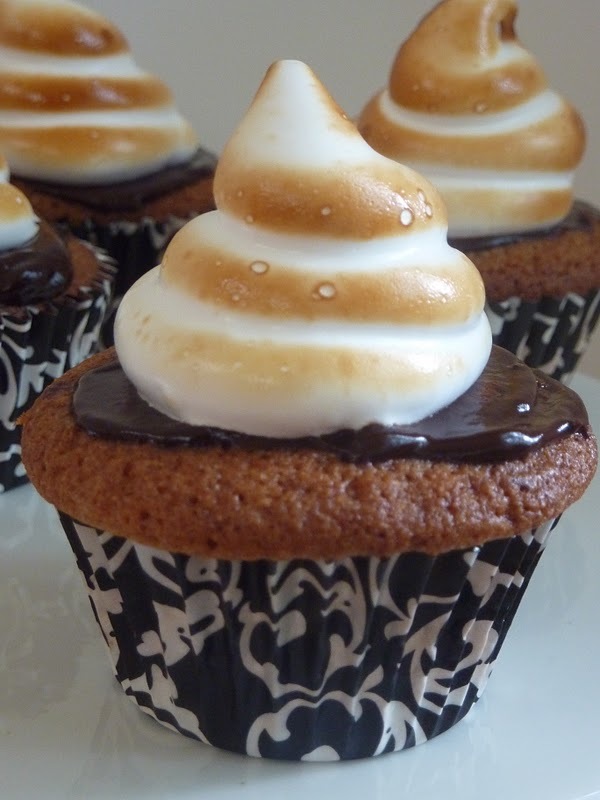 Fill a pastry bag fitted with a large plain tip (Ateco #806 or Wilton #2A) with frosting; pipe frosting onto each cupcake, swirling tip and releasing as you pull up to form a peak. Hold a small kitchen torch 3 to 4 inches from surface of frosting, and wave it back and forth until frosting is lightly browned all over. Serve within 6 hours. Place chocolate in a medium heatproof bowl. Bring cream and corn syrup just to a simmer in a small saucepan over medium-high heat; pour mixture over chocolate. Let stand, without stirring, until chocolate begins to melt. Using a flexible spatula, gently stir chocolate and cream until totally combined; begin near the center of the bowl and gradually work your way toward the edge, pulling in as much chocolate as possible, until the mixture is smooth and glossy. (If any chocolate pieces remain, strain mixture through a fine sieve and discard solids.) If not using immediately, glaze can be refrigerated up to 5 days in an airtight container. Reheat gently before using. In a mixing bowl, sprinkle gelatin over ⅓ cup cold water. Allow gelatin to soften,about 5 minutes. Heat remaining ¼ cup water and the sugar in a saucepan over medium-high, stirring until sugar is dissolved. Stop stirring; clip a candy thermometer onto side of pan. Boil syrup until temperature reaches the soft-ball stage (238º F), brushing down sides of pan with wet pastry brush to prevent sugar crystals from forming. Remove from heat; add syrup to softened gelatin. Whisk mixture by hand to cool, about 1 minute, then use an electric mixer to whisk on medium-high speed until soft, glossy (but not dry) peaks form, 8 to 10 minutes. Use immediately, as frosting will harden quite quickly. 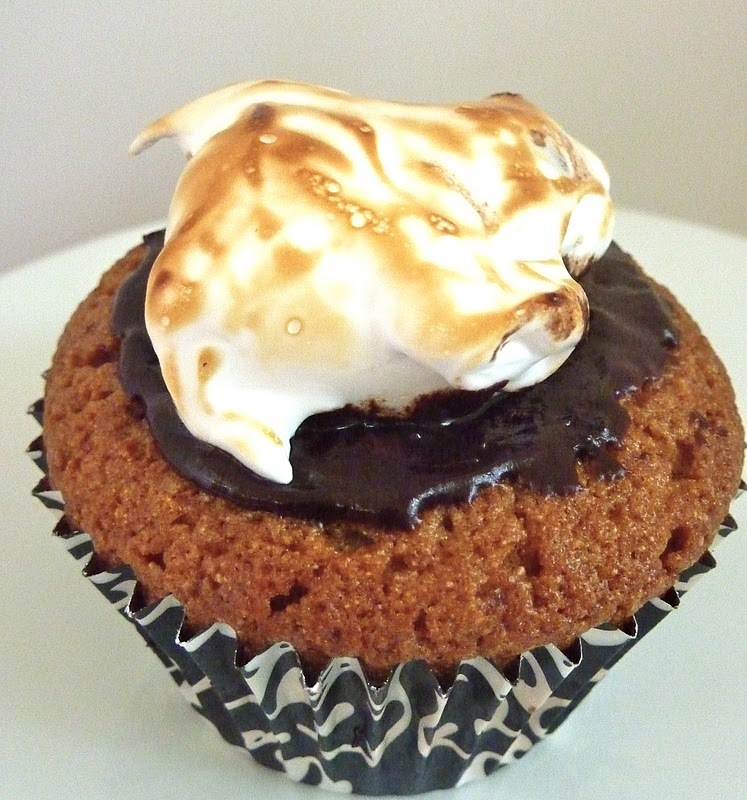 Did you like the graham flour cupcake? I've heard mixed reviews, but I'm sure the chocolate in the middle made up for it! I've got to get myself a kitchen torch. The frosting looks amazing! I personally enjoyed the cupcake- were the reviews mixed because of the texture? Two people thought there was bran in it, which I could understand, as the graham flour is coarser, though not as coarse as bran. stupid question... how do you keep the cupcake paper from not going translucent? maybe it's the kind i buy, but when they come out of the oven, they are no longer pink, blue, or green. Thanks for stopping by, Rene! These cupcake liners are by Reynolds and are... drum roll... FOIL LINED. They're their StayBrite baking cups. My mouth is watering....great pictures and beautiful cupcakes! Congrats also on your 13 year-old --- I have a 10-month old and a 2 year old, and I'm just hoping I'm still sane 6 mos from now! YUM! I LOVE your recipe! Would you come over to CAST PARTY WEDNESDAY tomorrow and share your recipe with us? Those are absolutely gorgeous! I want to eat one. :) I just found your through Lady Behind the Curtain and love what I see. 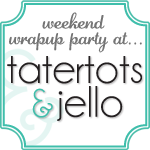 I host a linky party that runs through Friday (Crazy Sweet Tuesdays) and would love for you to join sometime. These cupcakes look amazing. Great pictures. Oh, I love these! 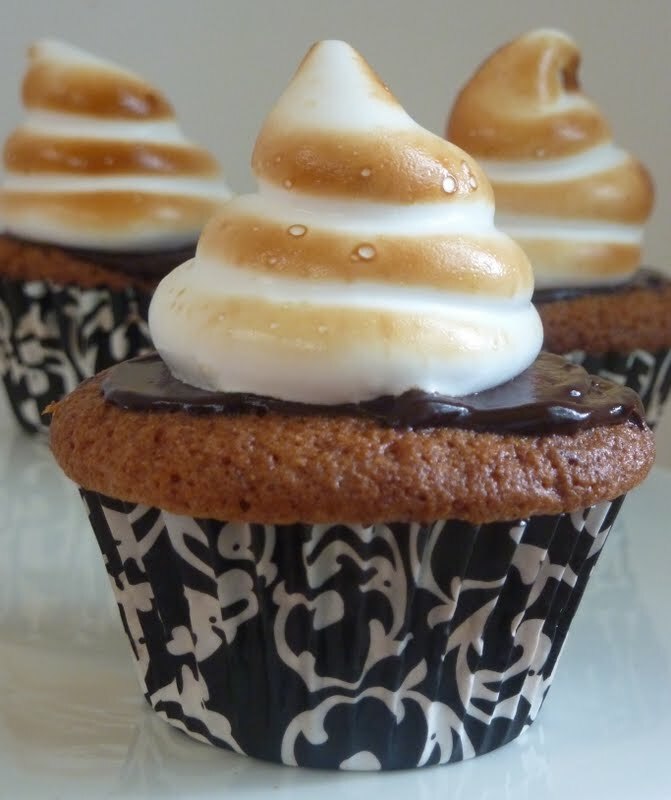 The marshmallow frosting looks unbelievable! Love your toasting technique. Thanks for sharing on Sweet Indulgences Sunday. Thanks, and thank you for your fun link party. These look absolutely gorgeous! What pretty cupcakes! Thank you for the recipe, I really must try this! And thank you very much for sharing this @ Show & Share! I am so happy that you did! thank you for stopping by! i love your blog! These look AMAZING! wow... so delicious. Thanks for all the pictures great instructions. Just wanted to let you know I'll be featuring this tomorrow at this weeks Tasty Tuesday party. Stop by and grab a featured button! Thanks for taking the time to stop by, Emily. And thanks for hosting the fun party! Just wanted to tell you that I featured you today! Grab a button if you'd like! Thanks for stopping by and linking up last week at my Whisking Wednesdays party! These look soooo good! Hope to see you again this week!